Stories don’t just come in books, they’re also on screen, and here you get to see both combined. 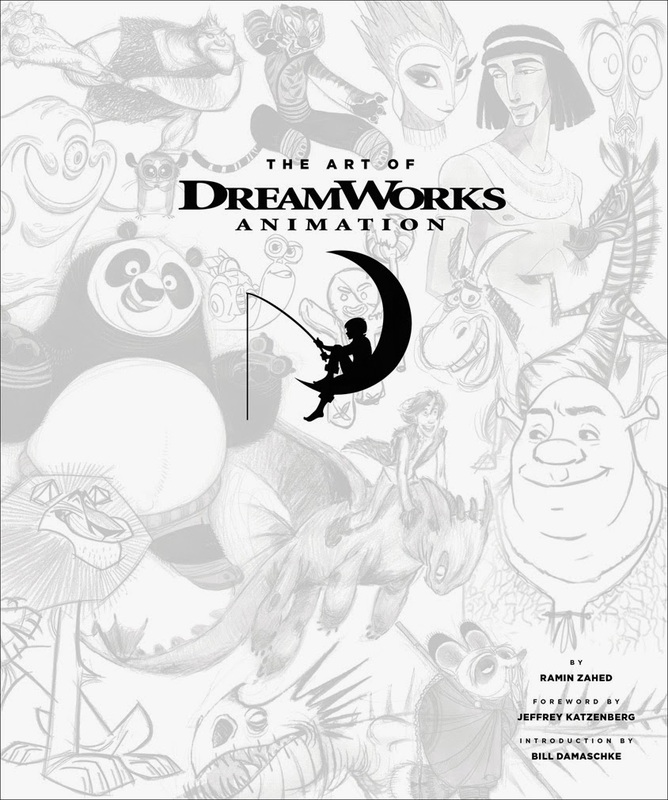 The Art of DreamWorks Animation is a visual feast released in celebration of the 20th anniversary of the DreamWorks Studio, and showcasing its thirty movies across more than 300 pages. Presented in consecutive order by their release date, the movies range from Antz which was released in 1998, through to Home which will be released in 2014. They bookend numerous CGI success stories including the claymation hits Chicken Run and Wallace and Gromit: The Curse of the Were-Rabbit. Literally hundreds of images make this a perfect coffee-table book for movie-lovers, or a source of interest for students studying subjects like art, cinema, animation, or visual effects. There are character sketches, models and artwork from various stages of development and production. This is just a tiny snapshot, and given that “it takes more than four years to create the 130,000 intricate frames that make up a single ninety-minute film” it’s no wonder there is so much to see! Quotes from directors, producers, writers, designers, and others give insight into the experience of working on the movies, along with a foreword written by Jeffrey Katzenberg, co-founder of DreamWorks, and an introduction by Bill Damaschke, the studio’s Chief Creative Officer. • The Shrek movies and Puss In Boots were inspired by William Steig’s Shrek picture book, and feature various characters from, and inspired by, traditional fairy tales and nursery rhymes. • How to Train Your Dragon was inspired by Cressida Cowell’s How to Train Your Dragon series. • Rise of the Guardians was adapted from William Joyce’s The Guardians of Childhood series. Although, by its nature, The Art of DreamWorks Animation will probably be most appealing to older readers, younger children who have seen the movies are sure to also enjoy browsing it and recognising characters and stories.